The production, use, and disposal of textiles and apparel can have a large and negative impact on the environment. Just consider the oil based ingredients, chemicals, water, and energy used in production. Add to that the land used for cotton farming which could have been used for food crops and the insecticide and other chemical runoff into rivers and streams. Think about the energy and water used for washing and drying; and the fact that well over 10 million tons of textiles and apparel are put into landfills annually, just in the United States alone. It is apparent that the environmental impact is broad and deep. The recent trend to fast fashion and to inexpensively made and sold apparel have exacerbated the problem. We are producing more, selling more, and then discarding more than ever before. For example, the average U.S. consumer bought 60% more apparel in 2014 than in 2000 and disposed of them in half the time. When you consider this trend and the growing middle class in many developing countries who will most likely buy and dispose of more apparel, it’s clear the problem will only intensify. 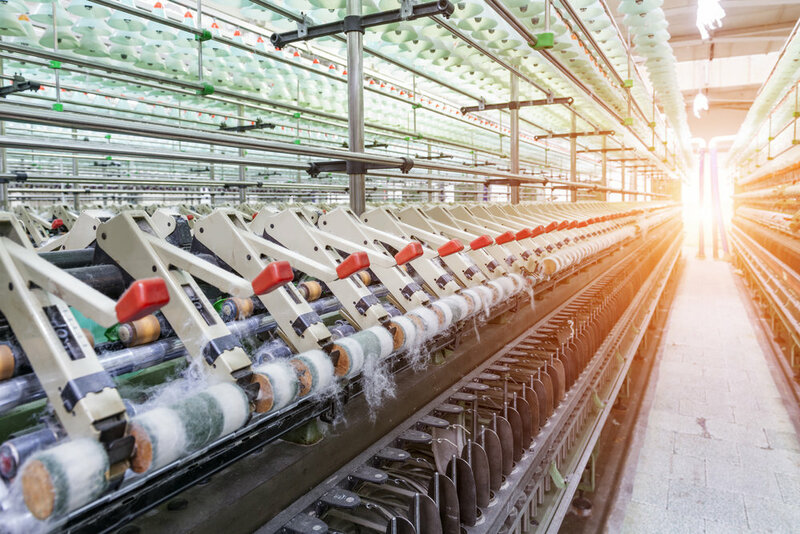 The good news is that textile and apparel manufacturers have options for reducing their environmental impact and to be more responsible members of their communities. To limit waste, produce quality goods, and mitigate any negative impact on the environment. At Unifi, the Greensboro, NC-based company I led for over eight years, we historically had a culture of community and environmental responsibility. It was something we were proud of. Conservation and reuse of resources had been a part of the corporate DNA for decades. But about 9 years ago we recognized the increasing negative impact our products, and more broadly the industry, were having on the environment. Despite our best efforts, like all polyester yarn producers, we were generating waste and using hundreds of millions of pounds of petrochemical feedstocks to produce our yarns. We decided the idea of simply being “good corporate citizens” was insufficient. We took it upon ourselves to develop ways to have a broader, more industry wide positive impact. One result of that work was the development and commercialization of Repreve®. The manufacturing process of Repreve® utilizes only polyester waste as the feedstock for first grade polyester textile yarns. We started making the product by using waste generated from our yarn manufacturing process. With growing sales, we saw a huge opportunity and were soon consuming all of our process waste. As sales demand exceeded our supply, we began recycling the waste of many of our domestic competitors. As it became apparent demand for sustainably produced products would continue to grow, we looked at the opportunity through a longer term and more environmentally friendly lens. It became clear we could develop technology for recycling clear plastic water bottles into first grade yarns, providing a much larger supply of raw materials and greatly expanding our positive environmental impact. We even had success in recycling cutting floor waste and used apparel in limited amounts. In short, we developed the technology to turn multiple sources of waste, most of which would have gone to a landfill, into materials used in garments you find on store shelves today from brands like Patagonia, North Face, Volcom, and Quiksilver. To date, most of the polyester industry's waste and over 10 billion water bottles have been recycled into first grade, high quality yarns. On average, every pound of REPREVE® yarn conserves the equivalent of half a gallon of gasoline. This, however, is only a small part of what is being done and more importantly, what can be done in the future. The technology to recycle yarn waste and water bottles is well developed, readily available, and reasonably easy to commercialize. Both direct polymer recycling and the breaking down of polymers to base chemical components for re-polymerization have been practiced for years. To date, recycling used clothing and fabrics has primarily been by mechanical processes for the production of shoddy, a form of noise insulation. This should no longer be the case. In recent years, much development work has been aimed at recycling clothing and fabrics into higher value uses, including back into garments. I believe it is feasible that some of these new technologies, combined with intelligent garment design, will provide the holy grail of sustainable textiles; closed loop garment manufacturing with minimal ingredient extraction from or waste disposal to the environment. The only question may be how do we incentivize the manufacturers, brands and retailers to do it? That’s the subject of another blog. Indeed in future blogs, I will cover many aspects of sustainable textiles, assessing what works, what doesn’t and what more can be done. I look forward to hearing your feedback.